McAfee is one of the leading security solution provider in the world which needs not to be further introduced. McAfee Internet Security is one of the product that provides anti-virus, firewall, spyware, and online protection which designed to detects, blocks, removes viruses, spyware, adware, hackers, rootkits, and etc. The security package generally covers 4 main areas of protection – computer & files, internet & network, email & instant messenger, and parental control. 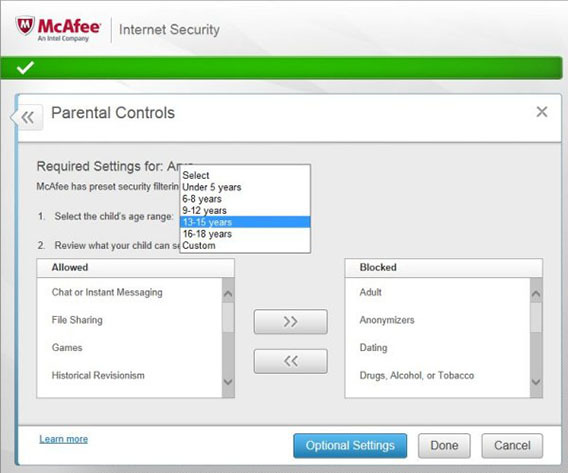 With advanced features, McAfee Internet Security give users a peace of mind when browsing the internet. Complete Anti-virus, Anti-spyware, and Anti-malware. Scans and blocks dangerous emails, risky web content, and online threats such as viruses, Trojans, spyware, and rootkits. PC Tune-up. Unused applications, cached browser files, and other junk slow down your PC. McAfee Internet Security 2016 normally costs $69.99 if users intend to purchase the complete package online from McAfee site. The security software developer also offers users who are willing to try up its McAfee Internet Security 2016 a 30-day trial. Create an account by fill in your email address, and then click “continue”. Note: Promo code is not needed. Once successfully registered and log in to the account page, click on the “Get my Trial” button and then click on the “Download” button to proceed with the online download.